We invite all Scouts (14 years old & up) and Scouters to attend. This course date is the "last chance" for camp staff, National Youth Leadership Training (NYLT) staff and summer Wood Badge course staff members. Save $5 by signing up on or before May 3, 2019. Instruction ends at 3 PM, followed by awards concluding at 3:30 PM. Cracker barrel is provided, but please bring your own lunch. Location is subject to change, so please double check website close to course date. Have additional questions? Reach out to us & we’ll be happy to help! Register before May 3, 2019 and receive $5.00 off of your registration. Registration will end May 15, 2019. All fees are fully refundable until May 15, 2019. After May 15, 2019 fees may be transferred to the August 17th course. This course will provide specific support, training, and information to help Latter-Day Saint Scouting families find a new chapter organization, start a Scouting unit, organize a committee, recruit youth, train adult and youth leaders, fund raise, develop an annual plan, and learn other skills necessary to continue their Scouting journey with energy, increased knowledge, and optimism in 2020. If you need to cancel, we must be notified in writing 30 days prior to the first day of your conference and a $100 processing fee will be applied. If you cancel within 30 days of the start of your conference, a processing fee of $150 will be applied. Processing fees are only applied to the conference participant, not family members. Submit via email to philmont.trainingcenter@scouting.org. National Youth Leadership Training (NYLT) is an exciting, action-packed program designed for councils to provide youth members with leadership skills and experience they can use in their home troops or crews, and in other situations demanding leadership of self and others. The NYLT course centers around the concepts of what a leader must BE, what he or she must KNOW, and what he or she must DO. The key elements are then taught with a clear focus on HOW TO. The skills come alive during the week as the Scouts and Venturers go on a Quest for the Meaning of Leadership. NYLT is a co-ed six-day course, staffed primarily by youth NYLT alumni. Classes are held in an outdoor setting with an emphasis on immediate application of learning in a fun environment. Interconnecting concepts and work processes are introduced early, built upon, and aided by the use of memory aids, which allows participants to understand and employ the leadership skills much faster. Please note: the BSA-created curriculum includes a realistic simulation of a first aid event. Scouts should Be Prepared to learn how to provide aid in a real life situation. This includes food, lodging, patrol equipment, participant notebook, t-shirt, & program supplies. A non-refundable deposit of $50.00 is required upon registration. All course fees are due one (1) week prior to the beginning of the course. NO ONSITE REGISTRATIONS will be accepted. Did you love your NYLT experience? Want to ensure others have a great time at it just like you did? Apply to join NYLT staff where you’ll be able to put the skills you learned at NYLT to use. Click the button below to get started. National Youth Leadership Training is excited to have the Order of the Arrow hosting the Coup Trail Course which is open to all Order of the Arrowmen that would like to learn new leadership skills . Trek Option: Needs a minimum of 6 participants to run. Participants will join the non-trek course for 2 days and then have the opportunity to take a short backpacking trip into the High Uintas Wilderness for the field experience portion of their training. This internationally-recognized course is the top tier of Leave No Trace training and provides participants with an in-depth look at the skills and ethics of Leave No Trace. In addition to practical applications of Leave No Trace in the field, participants will also learn about various teaching styles and effective communication techniques. Graduates are qualified to teach Leave no Trace Trainer Courses, Awareness Courses, and teach at other venues. Non-Trek Option: Need a minimum of 6 participants. Participants will be combined with the Trek course for 2 days and then camp in a primitive area for their field experience. This option does not require hiking. Both options MUST fill if each one is to run. The default is non-trek if not enough people sign up for the trek option. Portions of the course will take place at the world-class training facility in the Monson Lodge at Hinckley Scout Ranch. We invite all Scouts (14 years old & up) and Scouters to attend. This course date is the "last chance" for University of Scouting and fall Wood Badge course staff members. Next course will be in the Spring, 2020. Save $5 by signing up on or before August 2, 2019. Instruction ends at 3 PM, followed by awards concluding at 3:30 PM. Register before August 2, 2019 and receive $5.00 off of your registration. Registration will end August 14, 2019. All fees are fully refundable until August 14, 2019. After August 14, 2019, no refunds will be given. The Boy Scouts of America - Leave No Trace 101 course is designed to give Scouts and Scouters the training they need to successfully practice Leave No Trace on their outings. Leave No Trace is important as we strive to live by the Outdoor Code, follow the Scout Oath & Law, protect nature, and leave a good impression with others. What is an "Impact Session"? Your stay at the camp is included in the registration fee. If you choose to stay off-site, a block of rooms has been reserved at the Residence Inn Salt Lake City Sandy. This training is offered on behalf of the National Council of the Boy Scouts of America. The Camps & Events Desk of the Great Salt Lake Council does not have access to your registration for this event nor can they provide you with additional information regarding it. Please direct your questions to Sue Simmons. Most Scoutmasters take Leaders Specific Training, but few find the time to take Introduction to Outdoor Leaders Skills (IOLS). This action-filled course teaches you all the skills you need to take your Scouts to First Class. You’ll also learn how to teach those skills to your Scouts. Become the proud owner of a Trained leader patch and start being a real (fun, effective and safe) Scoutmaster. All materials and supplies provided. Have questions? We have answers! Reach out to one of the folks listed below to get started. Some sessions will be outside in the early spring weather, so come prepared with a warm jacket and close-toed shoes. While cabin space will be provided for each participant, you will need to provide your own sleeping bag, pillow, & other personal items. Check in will begin at 5:00pm. The course will begin promptly at 6:00pm. Get $5.00 off if you complete your registration prior to February 25, 2019! Registration includes cracker barrel on Friday night, breakfast & lunch on Saturday, lodging (cabin), and all class materials & supplies. All fee due at time of registration. Full refund for cancellations on or before February 25, 2019. $10 cancellation fee for cancellations made after February 25, 2019. No refund for no shows. 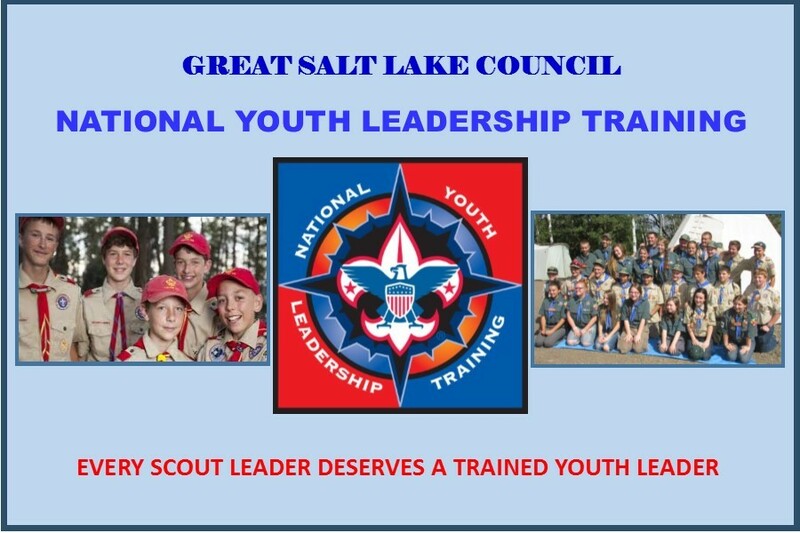 Looking to become a Trained leader for you Cub Scouts, Scouts BSA, or Venturers? Begin here at Leader Specific Training. And if you complete Introduction to Outdoor Leader Skills as well as the new Youth Protection Training (February 2018) along with this course, you will be eligible to wear the coveted Trained patch! And your Scouts will greatly appreciate your new found abilities. Have questions you need answers to? Have no fear! These volunteers are ready to help you when it comes to this event. You can choose to purchase you Leader Material Packet while registering. This will be at a discounted rate so don’t miss out on it! This offer is only available for those who register to attend this training. All participants must complete a BSA Medical Form, Parts A & B.